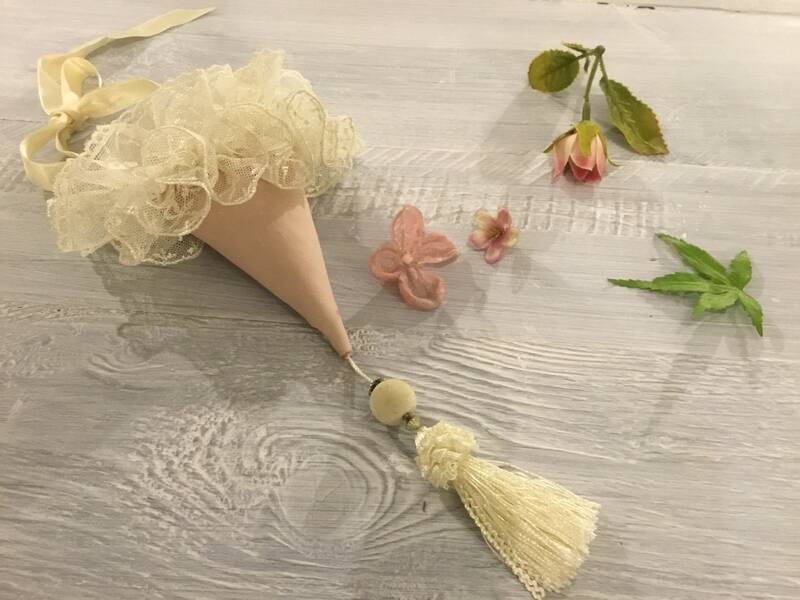 Our cones for confetti or for rice, are a product rich in style, to make your day more important a magic moment. 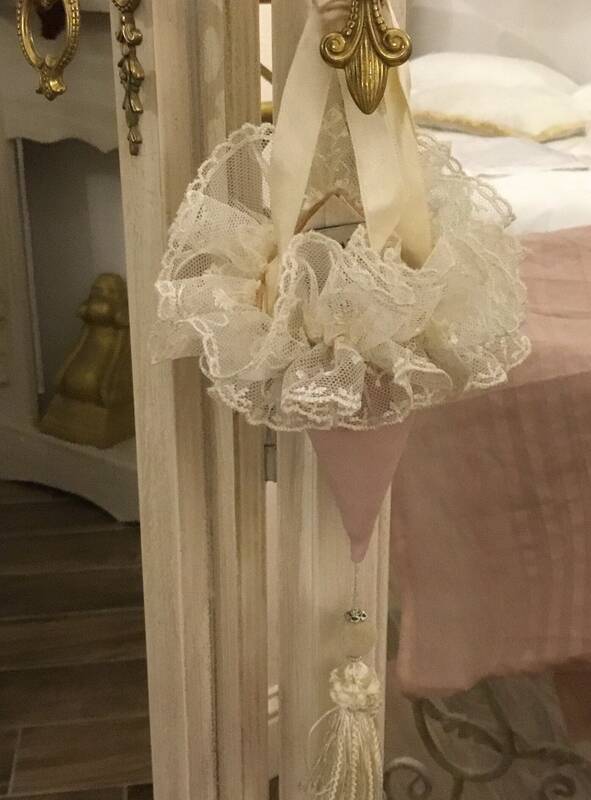 As all Faggianis accessories are made with the best fabrics and laces existing in the international panorama. 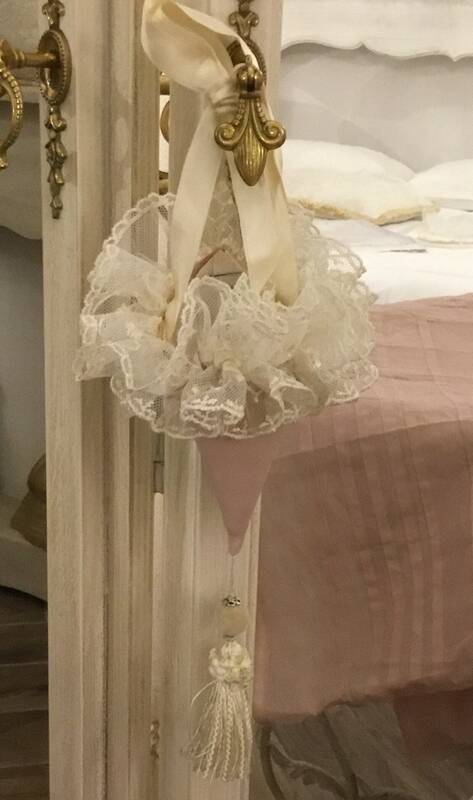 The Liú cone is in pear georgette antique pink and embroidered tulle ivory, completes the creation a refined bow with pearls. 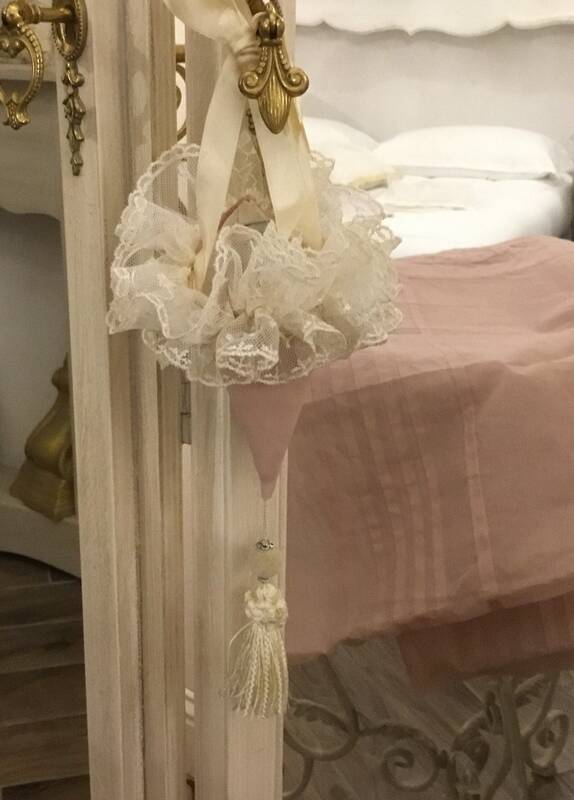 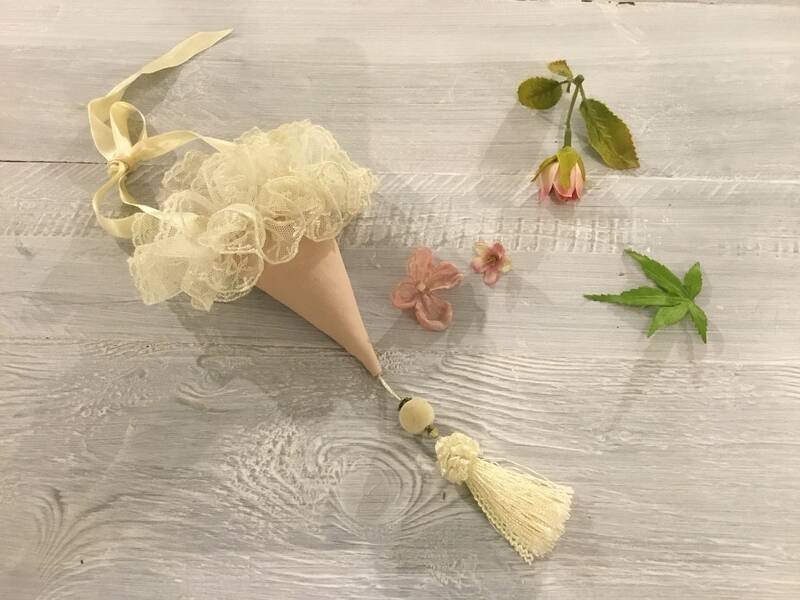 Ideal gift for brides, or as a gift for guests or as a wedding favor, let yourself be inspired by our creations and do not hesitate to contact us for any information.